tbsrock10 2 months, 2 weeks ago. 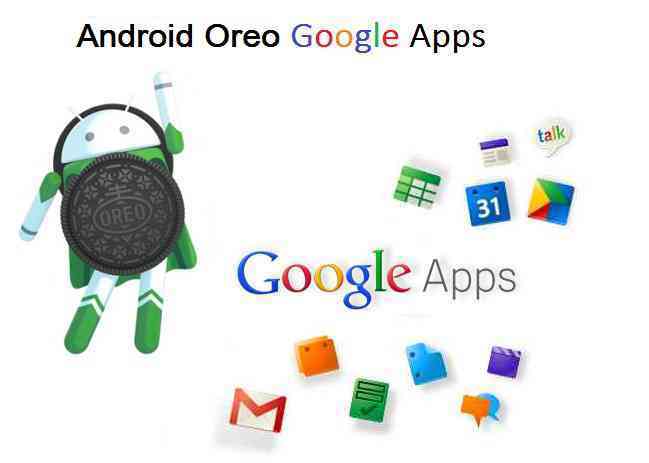 Download Android (Google Apps) Oreo Gapps for LineageOS 15.1, Gapps for Oreo AOSP ROM, Resurrection Remix Android Oreo ROM, AICP Android Oreo ROM and many other Android Oreo based ROMs. This page contains all available Android Oreo Gapps for LineageOS 15.1 and other relevant Android Oreo based ROMs. There was some proprietary issue between Google and formerly known as CyanogenMod (now LineageOS); because of what the Google Apps have to be kept outside of LineageOS, CyanogenMod or any other custom ROM for that matter. If you are really interested on the GApps story then read on otherwise you can directly go to the list of available LineageOS 15.1 Oreo GApps. Why GApps is not included in LineageOS or any Custom ROM?? Why GApps is not part of LineageOS or CyanogenMod?? Android being an Open Source Project is free to use but the underlying Application are not. Android is owned and developed by Google and hence it delivers all the google made Applications such as: Gmail, YouTube, Google Maps and many others. Because of the Open Source nature of Android many developers started developing their version of Androids for example: CyanogenMod which has their own set of features on top of Stock Android Source code. It was back in 2009 during the development of CyanogenMod 4.1 Google sent a letter to Steve Kondik (Co-founder of CyanogenMod) to remove all the Google Applications from CyanogenMod after market Android firmware and hence after that the Google Apps are available separately. Wanna read more on this then here is link on Wikipedia on this matter. This fact started from CyanogenMod (Now it is LineageOS) because it was the most popular or to be true this was the only Android custom ROM available during that time and post that all other Custom ROMs too follow the same trend of keeping not only Google Apps but any proprietary applications outside the Custom ROM build. You need these GApps primarily for any UNOFFICIAL LineageOS 15.1 Oreo ROMs or OFFICIAL LineageOS 15.1 Oreo 8.1 ROMs and those are built on top of LineageOS ROM such as: Resurrection Remix Oreo 8.1 ROM, crDroid Oreo 8.1 ROM, AICP Oreo 8.1 ROMs etc. And you need these Google Apps packages even on AOSP Oreo 8.1 ROMs like: Omni ROM, Paranoid Android Oreo ROM etc. Widely used Gapps is from opengapps which is usually available in the following: pico, nano, micro, mini, full, stock, super and aroma variants. The basic difference among all is the availability of Google Applications and the size. – Starting from pico GApps version, it will have some basic GApps like the Play Store and Google setup but not more than that. Using the Play Store you can download all other Google Apps easily of your choice. In terms of size this will be the smallest possible package which occupies 92MB. – Similarly the Aroma GApps contains all available Google Applications and is of size 757MB. Download the particular OFFICIAL Open GApps for Android Oreo 8.1 / LineageOS 15.1 custom ROM, which is more suitable for your device and data plan. Download the particular UNOFFICIAL Open GApps for Android Oreo 8.1 / LineageOS 15.1 custom ROM, which is more suitable for your device and data plan. Download the particular Android Oreo LineageOS 15 GApps which is more suitable for your device and data plan. I installed Lineage OS 15 on my ONE PLUS ONE, this worked fine. However loading Google Apps ARM64 Micro Oreo GApps / LineageOS 15 GApps has caused google play services to keep on crashing. Have tried the usual clearing cache for google play service, rebooting the phone and still no good. Has anyone else come across this issue yet. I know its still early days. Phone renders kinda useless without google play services as we know. OnePlus One is a Snapdragon 801 chipset based phone, which is a 32-bit architecture. So, you need ARM32 GApps for LineageOS 15 or any other Android Oreo based ROM(s). Official Android Oreo 8.0 GApps has come. You can try that and let me know if that works for you. Any update about the Redmi 5 Plus ? Galaxy J7 Prime has a 64-bit Exynos processor. You choose any ARM64 gapps and that should work for you. If it does not then try some other ARM64 gapps. Are you installing on LineageOS ? My Android Version is too old. And unfortunately, you have never had any LineageOS Version for my phone. Hello, I have a mi mix 2 and google play services keeps stopping? After installing Gapps? Anyone have a fix for this?